FALL IN LOVE OVER and OVER and OVER again. You will constantly change. You're not the same people you were when you got married, and in five years you will not be the same person you are today. Change will come, and in that you have to re-choose each other everyday. He / She does not have to stay with you and if you don't take care of her heart, he/she may give that heart to someone else or seal you out completely, and you may never be able to get it back. Always fight to win her love just as you did when you were courting her. Remember how you would feel if you saw another single guy/girl looking at your girl/guy, you would not be very impressed, make sure she NEVER has to go look elsewhere. So easy to fall into the day to day routine and forget this ... Great tip! Great tip for marriage. Thank you so much for the reminder. This is so true! We get so busy with our day to day lives that we forget this too often. Great tips for us all to remember! Great tip to remember! This is one reason why date night is so important so that you can re-learn each other when it's just the two of you. Yes! We need to keep falling in love or we will fall out of love. So easy to get busy with work and little ones. This is great advice to make each other a priority! This is great advice. I fall in love with my husband every time he is courageous. Great advice! We should all follow this marriage advice and live happily ever after. :) I sure hope I do! These are good tips. It's too easy to become almost robotic and not realize it. Every now and then it's nice to throw in something new and exciting to spice things up a bit. LOVED this!!! It's SO easy to get stuck in daily living. Sometimes I find myself having to take a step back and remember what it was like when our love was "new" I think now it's greater everyday!!! I am loving all of these tips. I like the idea of always looking for ways to keep your love new and fresh. Another great tip for married people. You really do change after the years and falling in love again with your partner is a wonderful idea. Keep the love strong! Way to help people strengthen their marriages! It's so important to appreciate who you have beside you. 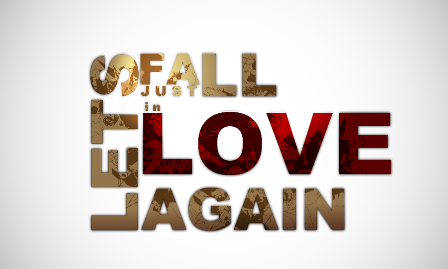 I love the "let's fall in love again" motto! This is a really great advice! I think it's important that we don't think we know who our partner is. People change all the time, just like you said. Great little reminder for staying "in love". I love this! My hubs and I try to get alone time... even if it is going to the store alone. Thanks for the reminder. So true! Being Mom of a "Tween"